Do you know someone who just loves chocolate?? This basket is a perfect gift for them! 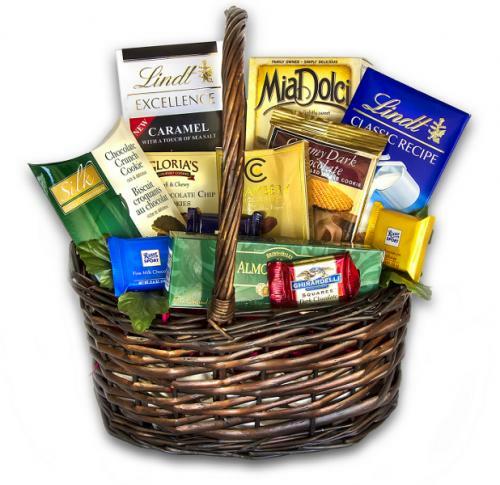 It is filled with a Lindt Classic Recipe bar, a Lindt Excellence bar, Gloria's Chocolate Chip cookies, Silk Chocolate Crunch cookies, Lady Walton Creamy Dark Chocolate wafer, Almond Roca, Chambery truffles and an assortment of Ritter mini chocolate squares.